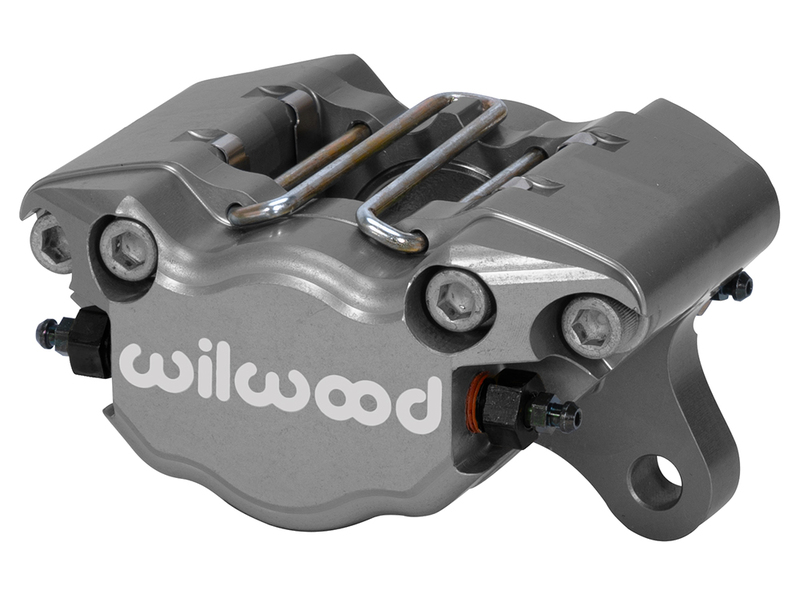 The DPS is loaded with exclusive Wilwood performance enhancements. 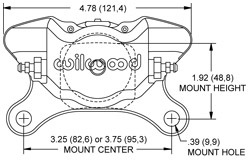 The calipers feature Quick-E-Clip pad retainers that support a 6812 type brake pad from the top. 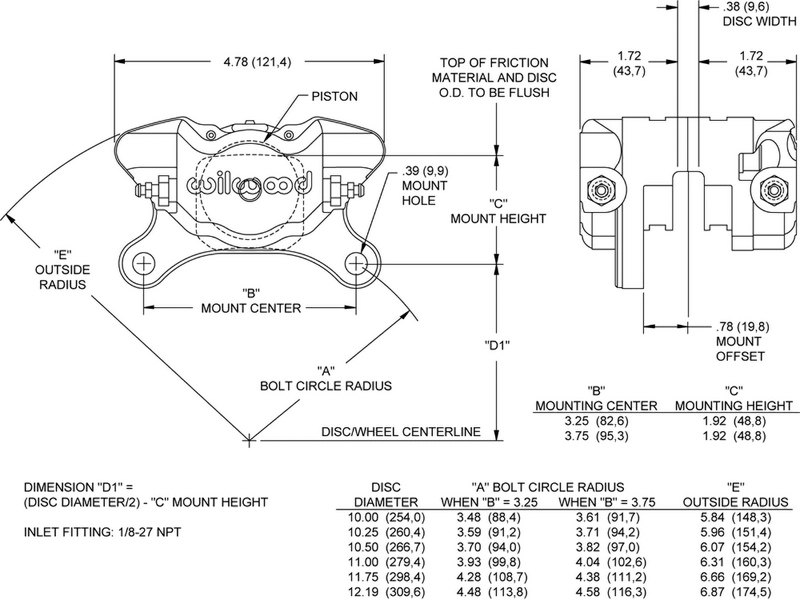 In addition to fast pad service without caliper removal, this feature provides substantially stronger retention over the single Quick-Clip pin and 7012 type pads used in the previous DLS models. The DPS uses heavy wall stainless steel pistons to resist corrosion and slow the heat transfer from the pads. The heavy wall sectional thickness improves pedal firmness and adds to the overall clamping efficiency by eliminating piston backside deflection.